Driven by fierce independence, unified by family, and fortified by the brotherhood of music, the Delgado Brothers deliver the musical goods; topical anthem-worthy songs complemented by call-to-action lyrics, and East L.A. Soul. 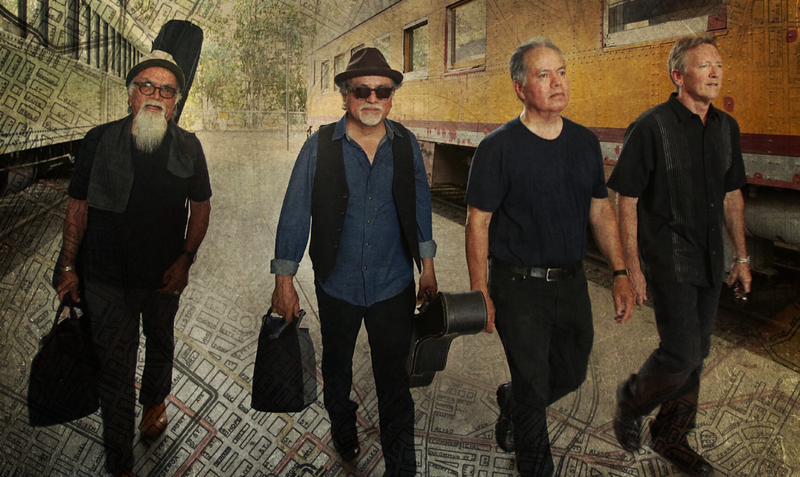 For over 30 years the Delgado Brothers have been music makers, collaborators and ordinary citizens; raising children, grieving the loss of parents, marrying & divorcing. All of this life experience may explain their flare for illuminating everyman’s joys, sorrows, triumphs and losses. The Brothers’ music has long been embraced both locally and globally by a wide spectrum of people undivided by culture, age or socioeconomic status. The Delgado Brothers have longtime been referred to as Los Angeles’ best kept secret. So just who are these quintessential musicians? The Delgado Brothers are eldest brother Bob Delgadoon bass, middle brother Joey D on guitar and vocals, younger brother Steve on drums and vocals, and David “B” Kelley on Hammond B3. Each member of the band brings a unique style of musicianship to the Delgado Brothers brand. Indiana- bred David B. Kelley came West in search of “groove and diversity”. An incredibly gifted musician, David’s playing on his “Vintage 1972 Hammond B3” adds tone, texture and depth to the sound and songs. To witness a Delgado Brothers live performance is to testify to the synergy, emotion, work ethic and true musicianship of the band.